Sometimes I get caught up on coming up with unique recipes for this blog, that I get away from the real deal food I eat on a daily or weekly basis. Not today. 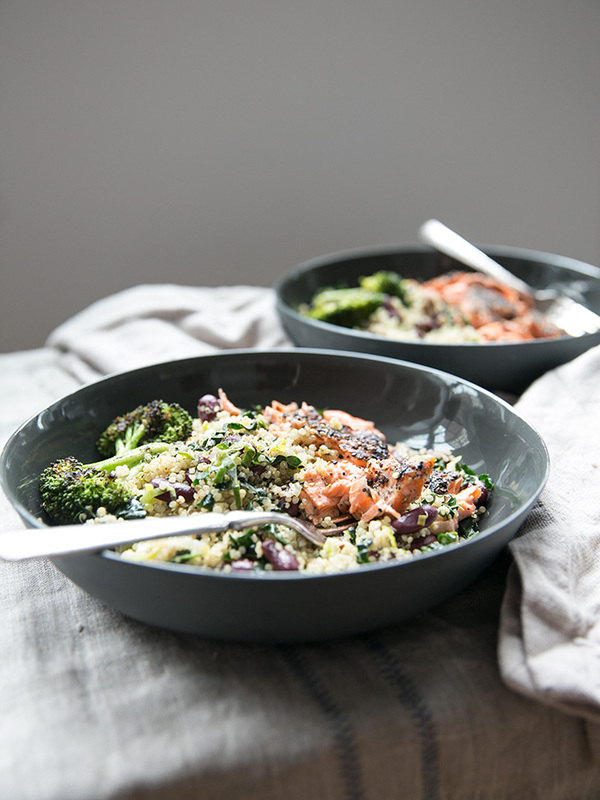 This meal right here is pretty much our go-to Monday night meal, especially this time of year when we're in the peak of wild salmon season. It's feel good food that is easy to make and hits all the right notes of flavor and health to makes this one of my favorite at home. A great dinner for just the two of us. 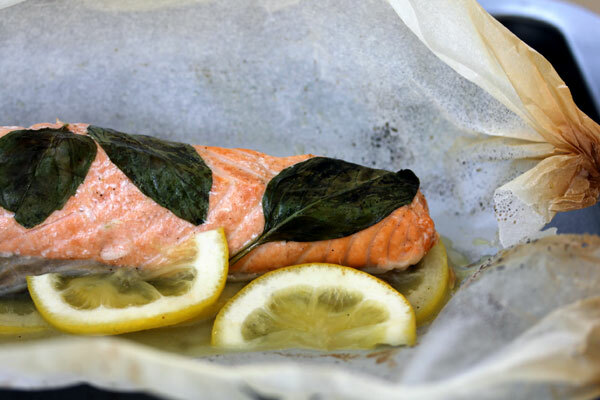 Since I post mostly vegan and vegetarian recipes on this blog, I thought twice about posting a seafood recipe here, but this blog is really all about overall health, and wild salmon is one of the healthiest foods on the planet. Wild salmon is so good for you. You know this. 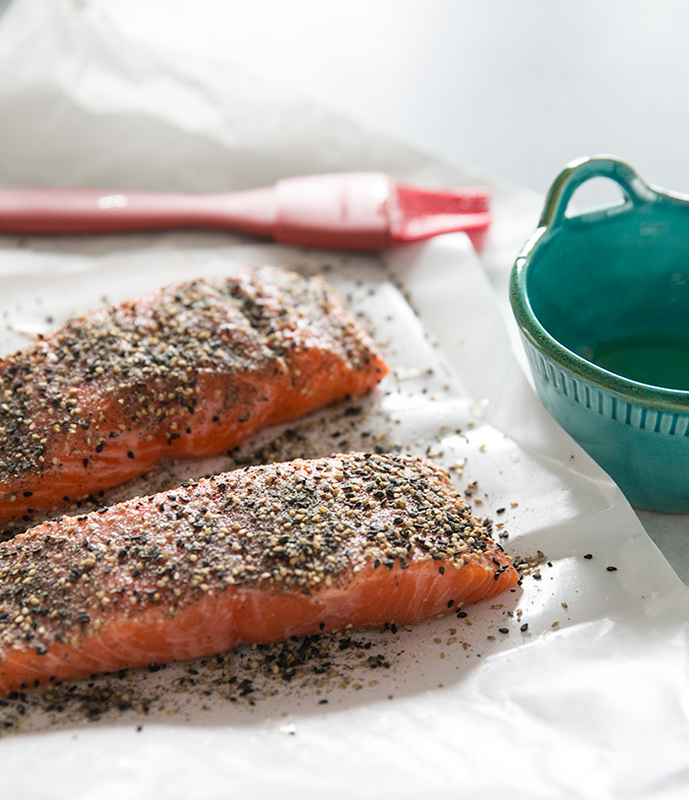 Loaded with Omega3's, wild salmon is straight up food for your brain. When looking for salmon, the only word you need to look for is WILD. None of this organic farmed salmon. There simply is no such thing as "organic" salmon. I am pretty picky about my seafood, just like I am my produce and most other things I eat and prepare. I eat salmon because of all of the health benefits, but I stay away from many other types of seafood, especially farmed seafood and deep water fish that contain high levels of mercury. It's all about being a conscience eater and knowing exactly where your food comes from before it makes it's way back to your kitchen. For my vegan and vegetarian friends, you can make this as a warm quinoa salad and omit the salmon all together. On days I cannot find a good piece of wild salmon, that's what I do. I am kind of addicted to the ginger sesame dressing that goes over this dish. You can put that dressing over anything and it will make it feel like a special meal.